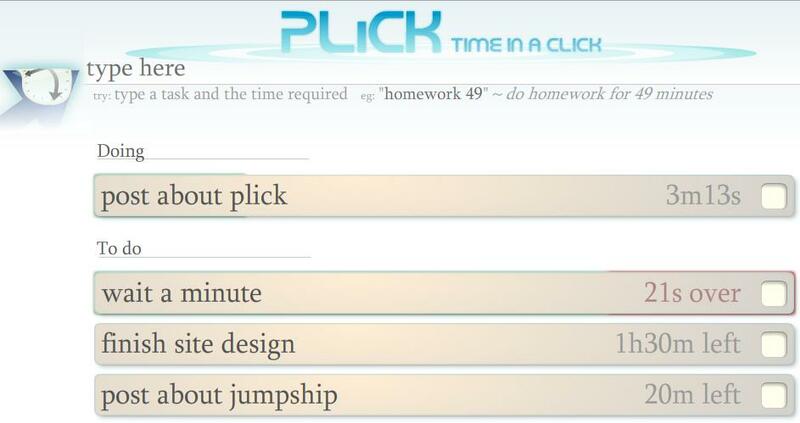 Plick – Time tracker, a tool that help to keep track of what to do and the time spent on doing that. The main features are the simplicity and that it help to stay in the schedule. then, when you are doing that, just click on it and the timer will start. Plick will keep track of the time spent on each task, in this way you can see if you spent much time than you expected, helping you to make better previsions. This entry was posted in Applications, Flash, General, Portfolio. Bookmark the permalink.